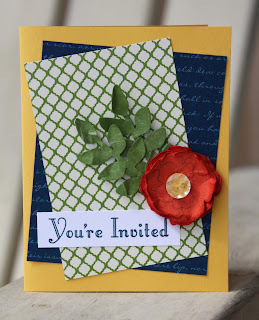 Thanks for joining me today on the Artisan Design Team blog hop. If you are coming from Wendy's blog, thanks for continuing on! The cards that I have made for today's hop both use the Secret Garden Bundle (stamp set & framelits) and the Make a Wish stamp set. I also used the Print Poetry Designer Series paper for the background papers on this card. I like that both cards use the same elements yet both have different styles to them. 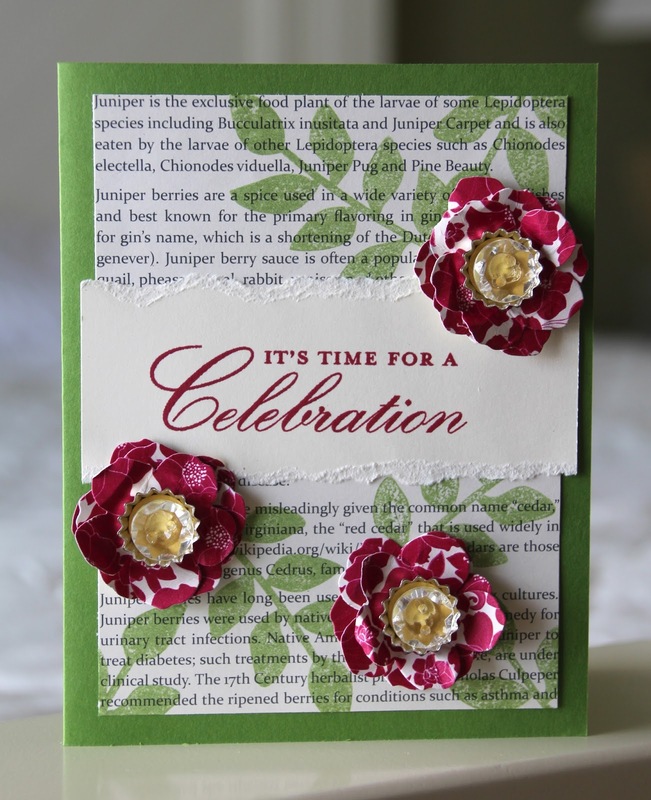 This card also uses the Print Poetry Designer Series paper. I also added the Soda Pop Tops with the Vintage Faceted buttons inside them for a little dimension. Thank you for stopping by today. 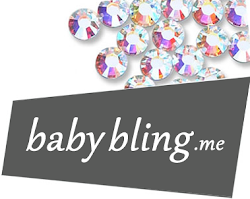 Please continue on to Cindy's blog to see what she has created for us today! Amy, I would have never thought of using these sets together, but I LOVE the cards! Your flowers are gorgeous, beautiful and just a delightful bit of shabby. Both of these are just lovely! Did you make the flowers with the 1/2" circle punch? Wow so pretty! I LOVE the orange flower, but they are but beautiful.